Discussion in 'Hardware' started by Aibohphobia, May 30, 2017. I know this topic will come up repeatedly so this thread will serve as the gathering point for Threadripper in a SFF-friendly motherboard form factor. Whether that's microATX, Mini-DTX, Mini-ITX, DTX, or really just anything smaller than ATX. JosephEK, Soul_Est, Acalanata and 4 others like this. NATi, Soul_Est, GentlemanShark and 7 others like this. If they use SO-DIMM memory as suggested it's a (wishful) possibility. They could potentially be placed on the rear of the board along with M.2 slots. The further I learn about the X299 platform the more I become frustrated. Reduced PCIe lanes for the lower tier SKUs, non-soldered dies, lack of ECC support, sky high prices. I will definitely be holding out to see what Threadripper brings to the table. 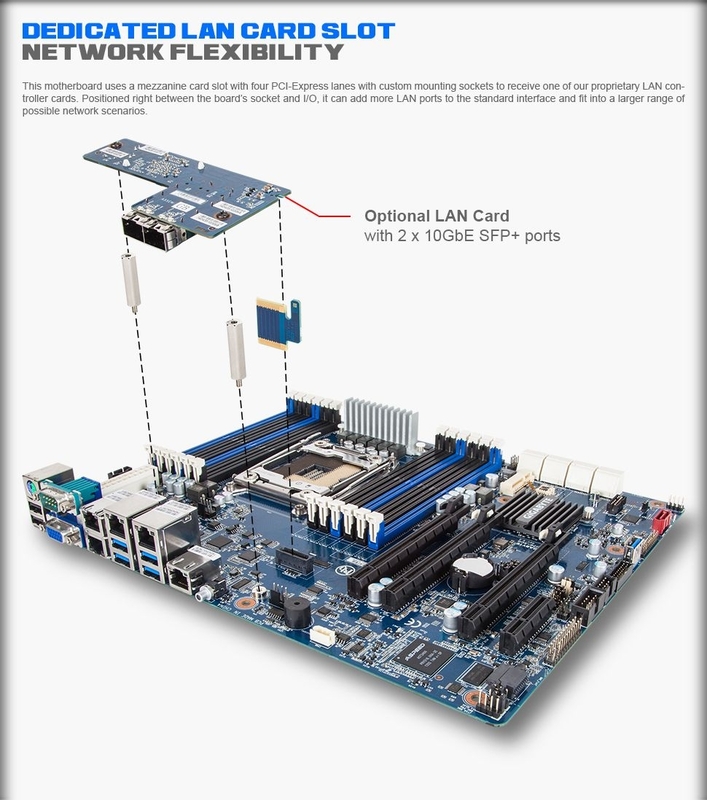 let's hope Asrock will launch this TR4 socket mini itx board..
Acalanata and alamilla like this. Dyson Poindexter If there's empty space, it's too big! I believe SODIMM slots, even laying down are too tall for the back of a motherboard. There's a keep-out spec somewhere. Why not "lift" the PCB by 2-4mm and have a low profile (shorter) PCIe slot? The rear IO should still fit, and the PCI slot bracket is the only other constraint. Then the rear could hold SODIMMs with no issues. Routing ~1152 traces though a 8-14 layer PCB might be a bit of a challenge though! Therandomness and Biowarejak like this. Why not "lift" the PCB by 2-4mm and have a low profile (shorter) PCIe slot? 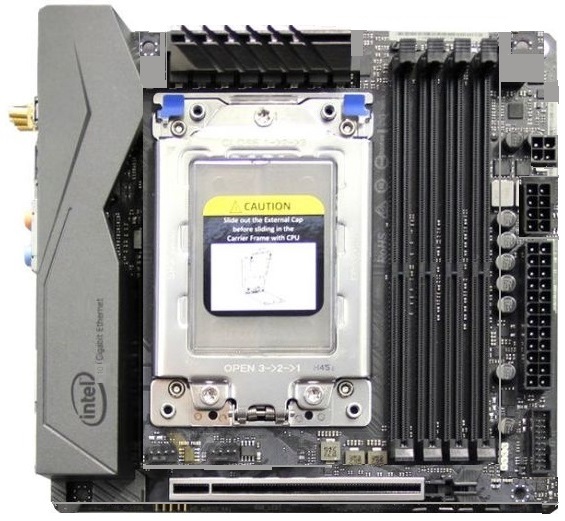 PCIe cards 'bottom out' in the slots, so if you raise the board the PCIe card will also rise. ASRock actually didn't completely dismiss Threadripper on Mini-ITX when I asked, but they made clear that there were absolutely no plans for such a thing anytime soon. And I got the impression that they didn't foresee there being enough demand to justify the hefty R&D before something new and better came along. Soul_Est, Acalanata, Phuncz and 4 others like this. Unless the PCB of the GPU hits the PCB of the motherboard, there's room. It would require a special slot component with an open bottom. Does AMD not have plans to support this socket as long as AM4 (which they claim will be the supported socket out through 2020)? Soul_Est, zovc, Acalanata and 4 others like this. 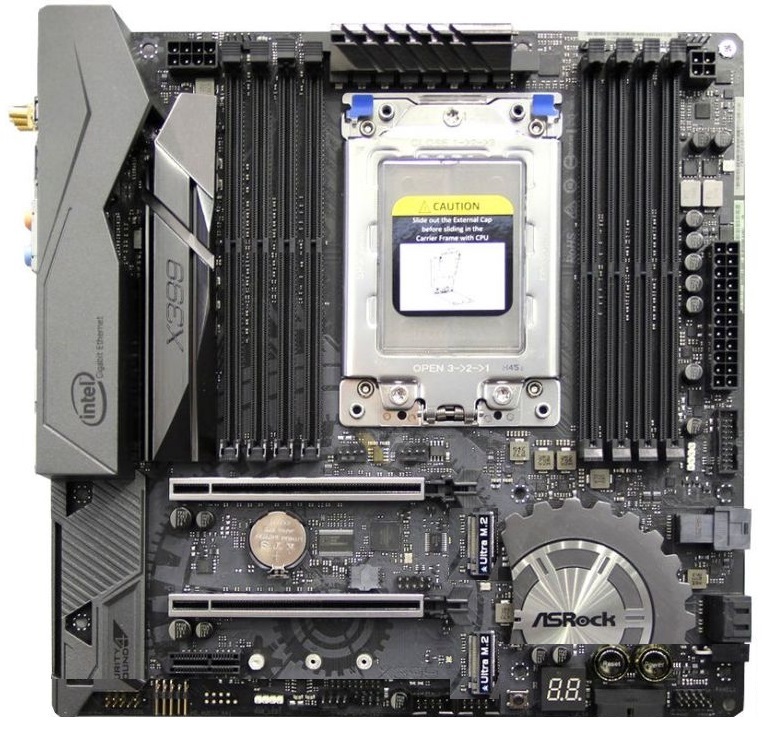 That's what I mean though, I got the feeling that ASRock felt by the time computing demands are enough to justify cramming even a massive CPU like Threadripper into Mini-ITX, it would be obsolete. Soul_Est, |||, Biowarejak and 1 other person like this. Acalanata, SeñorDonut, Phuncz and 1 other person like this. Multiple boards stacked on one another have been done for a long time in servers. They usually go by the moniker of "mezzanine boards." They do add a fair amount of complexity and signal integrity become an issue with very high frequency I/O signalling. Soul_Est, Phuncz, VegetableStu and 1 other person like this. I made an mATX mockup of an AMD x399 board. I would love to see something like this. NATi, Soul_Est, Acalanata and 5 others like this. This is exactly what I've been wanting... mmmm.... probably costs way too much. vseddie, NATi, Soul_Est and 7 others like this. haha, that's awesome. Hey @ASRock System are you hiring? Soul_Est, zovc, VegetableStu and 1 other person like this.